The wind howled. I stood at the edge of the rock, overlooking rivers and streams and hills and little birds struggling in wind currents to make it back to their roosts. I was so high up, I could see the blending of atmosphere and clouds as they gathered in the valley beneath. I could see the little roads, like capillaries, veining through the lavish growth, forcing their way through to civilization. A bird fluttered before me, caught in an updraft. Her eye met mine as wings flapped in place. Her beak gleamed in sunlight and feathers iridesced before me. What felt like an eternity passed as the bird and I exchanged glances of curiosity she; with a tilted head, and I, neck craned to see more closely. We were different aspects of each other. Her freedom to soar and mine to wander met in this fierce wind column that brought her to my gaze, as if to broaden my wonderment. At that moment the wind blew my hair and I lifted my arms. Her wing tips brushed my fingers and in a swirling, rushing, billowing rush of air, we were one. 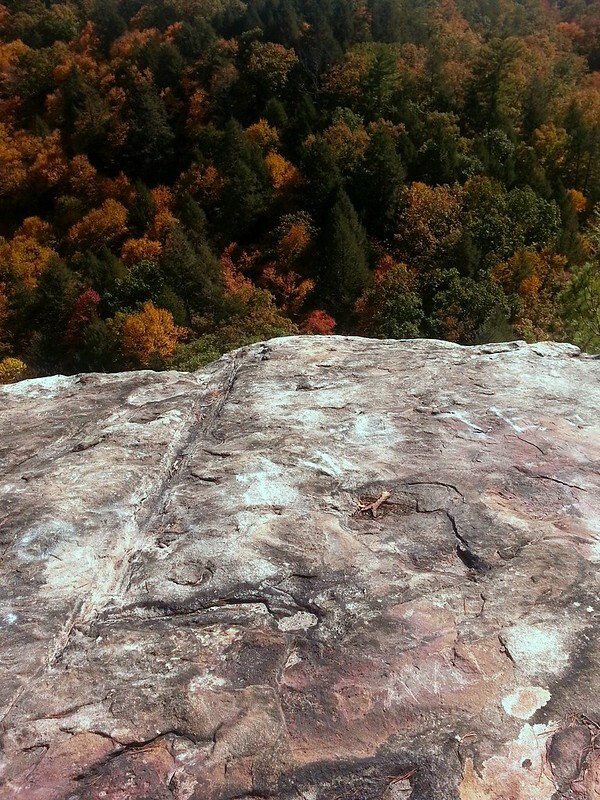 I soared from the cliff, the landscape passing beneath me in streaking greens and browns, reds and yellows. As the winds carried me I could see my past, my present, my future, all entwined. I circled back around the bends in the valley, and could see the cliff from which I stood moments…lifetimes ago. There a woman stood, gazing out upon the land, her arms outstretched as a little bird’s wings fluttered to greet her.